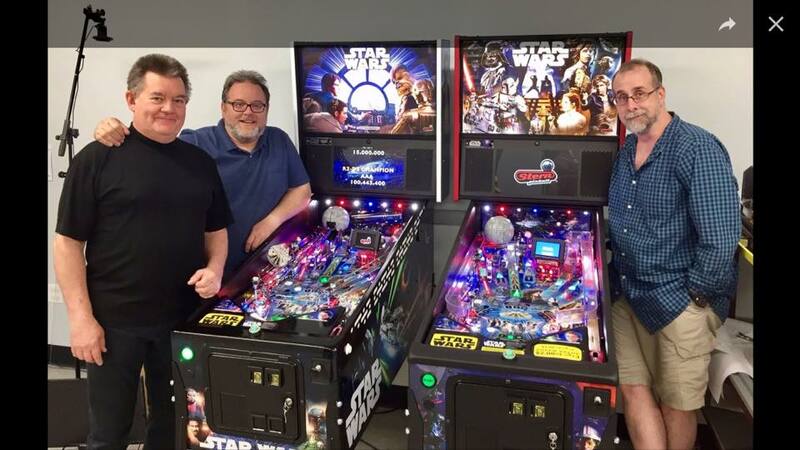 Around the beginning of this month, we heard some credible, hot rumors that Stern Pinball’s next release was going to be Star Wars. 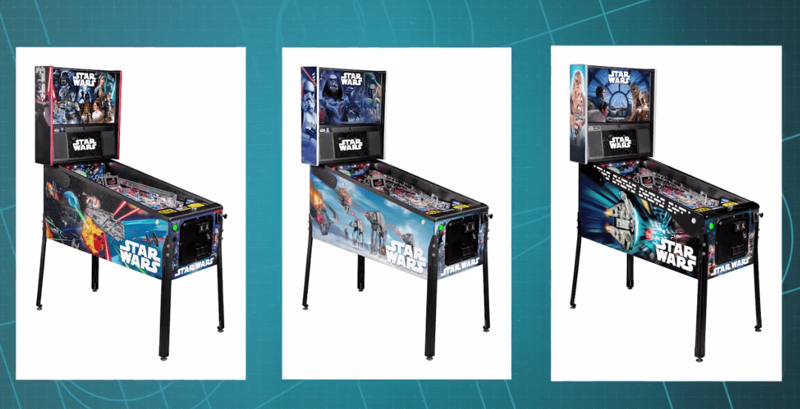 Star Wars has been done multiple times on the pinball side of the business but it has been a while. With the current excitement about the franchise reaching a fever pitch, it was only a matter of time for it to happen again. There will be three editions of the game, a Pro, Premium and Limited Edition, all celebrating the 40th anniversary of the franchise. 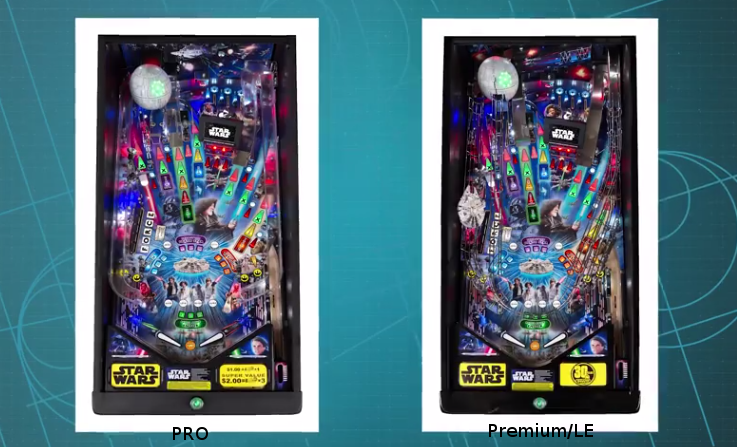 Designed by Steve Ritchie, the game also focuses on the original trilogy (sorry Prequel and Newquel fans) and will feature two LCD screens (images show the Pro with a 2nd LCD but video says it’s only on the Premium and LE), sculpted toys including the Millennium Falcon, TIE Fighters and the Death Star. The Death Star toy is more elaborate on the Premium/LE models as it will “explode” (open…not all over the place) and those models also feature a Hyperspace ramp feature. As of this writing, official images and details have not been released by Stern yet but I imagine we’ll get that stuff within the next day or so. The footage shown there comes from what appears to be a “Behind the Scenes” video that Stern has been doing lately so I imagine we’ll also see that soon. The images above also give us plenty to chew on – I’m seeing love and hate for it online at the moment although I’m sure anything people want will be covered with plentiful amounts of mods. While pricing and availability are unknown at the moment, those are details we’ll know soon – I would guess by the timing of the announcement, units will start showing up on location around July. Very exciting! I am looking forward to trying it! Wow, hope I can find one to try once they’re out in the wild!